↑ 1.0 1.1 Chitra Garg (2010). Indian Champions: Profiles Of Famous Indian Sportspersons. Rajpal & Sons. pp. 93–. ISBN 978-81-7028-852-7. Retrieved 29 June 2012. ↑ I see India. "Magnificent Mary". On Mary Kom. I see India. Retrieved 7 June 2012. ↑ "Olympics: Mary Kom loses SF 6-11, wins bronze". IBN Live. Retrieved 8 August 2012. ↑ "AIBA World Women's Ranking". AIBA. Retrieved 5 June 2012. ↑ "NE India:Indigenous Women dream to win World Boxing Champion 2012". ↑ Williams, Dee (6 February 2008). "Mary Kom". (WBAN) Women Boxing Archive Network. Retrieved 8 May 2010. ↑ Kumar, Priyanka (8 March 2012). "MC Mary Kom: Boxer, mother, icon". IBN Live. Retrieved 2 June 2012. ↑ "For Mary Kom, life comes second to Olympic dream". First Post. 23 May 2012. Retrieved 2 June 2012. ਰਾਠ, ਰਾਜਸ਼੍ਰੀ। "Mary Kom: Punching above her weight." ਅਲ ਜਜੀਰਾ . 21 ਅਕਤੂਬਰ 2013. 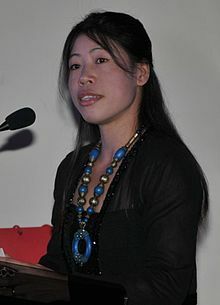 Find Mary Kom biography, profile, struggle and other details.